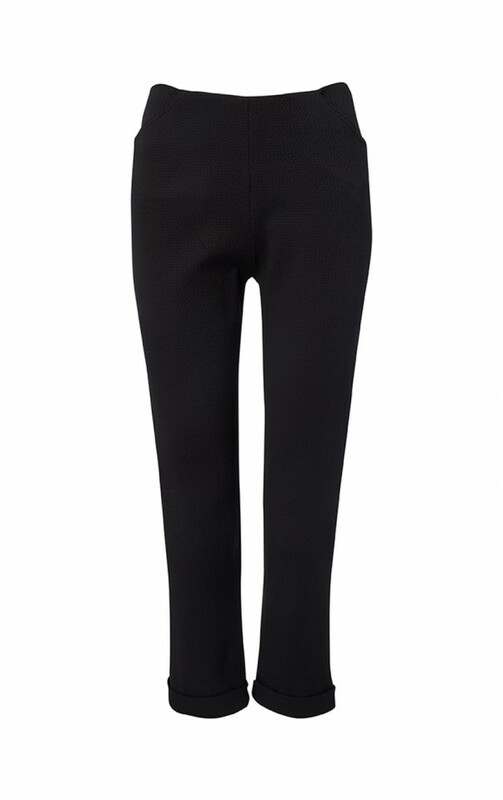 Versatile cropped black trouser in a textured cotton blend fabric. Flattering fit on the waist with angled side pocket detail and turn back cuff at the hem. Wear with Orleans Jacket for an easy travel look.